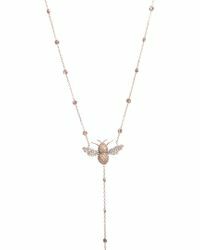 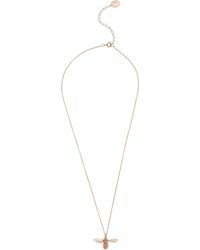 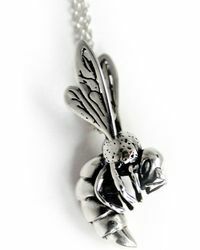 Bees have never been more stylish – and this season’s selection of necklaces is proof. 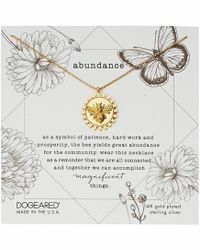 Featuring everything from delicate honey bee pendants and charms to striking crystal-embellished designs, this collection will make you want one immediately. 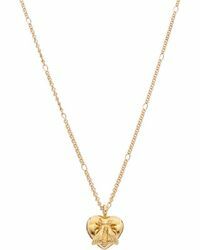 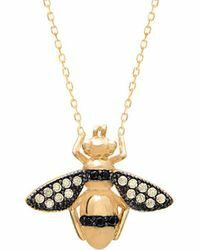 Look to Estella Bartlett, The Alkemistry and Of Rare Origin for understated designs you can wear with everyday looks, or go straight to Gucci, Annoushka or Bee Goddess for striking bee necklaces with a playful twist. 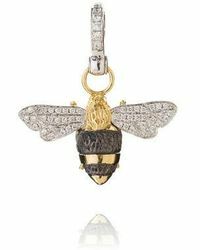 Showing 560 results for "Women's Honey Bee Necklaces"
Diamond Bumble Bee Pendant Set In 14k Yellow Gold, 0.20 Ct. T.w.